Each pack contains 5 sheets of high quality A4 gold mirror card. Perfect for card making, scrapbooking and crafting. 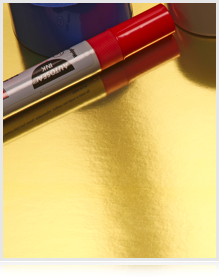 This gold mirror card is made from a good weight of card, giving you a real sense of quality. This A4 mirror card is approx. 280 to 300 gsm and is Laser Printable. Made an epic 3D cat mask, thanks! Can you print on this card? Possibly the best mirror card i've found! Brilliant quality! Nice and heavy card, absolutely brilliant!